This Free Arts Directory Will Help to Promote Your Arts Activities! If you would like to have a free arts directory listing for your visual arts association, glass society, writing group, theatre group or artists' cooperative please upload your information here. This site is very well optimised to be found by major search engines - so you will have excellent exposure! There are interested and highly motivated artists and students searching for you. 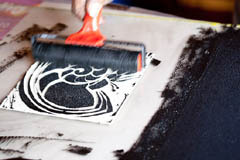 I know that some of you are already using the Arts Events, Arts Workshops or Artists' Opportunities forms in this section of the website to promote your art competitions, children's art projects, 'design your own shirt' screen-printing workshops and so on and I hope that you will continue to do so, as they are amongst the most popular pages on this site. 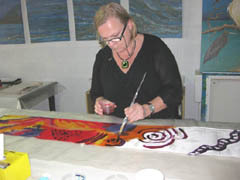 But now I am going a step further in my effort to assist the development of the Arts in North Queensland by setting up this art classes directory and free arts directory of arts groups in the region (often one and the same) so that locals and visitors alike will have easy access to your contact details and a good idea of what your arts group offers. You may include your address, phone number and email address (please list it as 'yourgroupATwhatever.com' etc to foil spamming robots). Perhaps it would be a good idea to think about why you would like to have new members and what is so special about what you are offering them - and tell them! 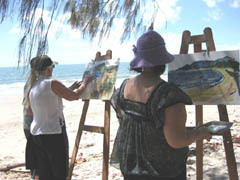 Free arts directory for North Queensland. Although I am starting this service for North Queensland groups, later on I may extend it to include other areas of Australia as I know how important arts groups are to the development of skills and well-being of, sometimes, isolated communities. There is no charge for the service, but please help us to develop a really strong directory by asking your members and visitors to go to your listing and leave a comment or review. This will help build credibility for your studio, and I've made it so easy for your visitors to take part. You will also be able to update the information and respond to suggestions or accolades! If your group has its own website it would be appreciated if you could please link to this page from your site to help 'spread the word' a little. What is the name of your group, its physical address, website and telephone number? How much is your annual membership fee? What do you offer members? Workshops? Regular classes? Exhibitions? Excursions? How are you different to other arts groups? Do you specialize in a certain aspect of arts practice and instruction? 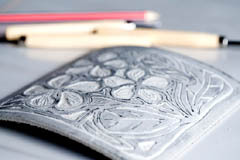 For example do you have large ceramic kilns installed or printmaking equipment and facilities? Perhaps you run an artist-in-residence programme? What involvement do you expect from members? Do you help to market their work? Are they, for instance, able to hold talks about some aspect of their work or give demonstrations? Can they upload artwork on the group’s website? Please remind them that they can do so on this site and help to promote you by leaving comments or reviews about your group and its activities, here on your page. I hope that this listing will help your group to continue to be a very special part of the community. Want to promote your arts group absolutely free? 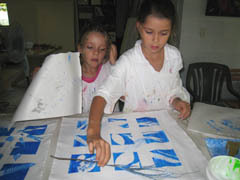 Are you part of a great little arts group or artists-run initiative that holds tropical art classes, exhibitions, lectures, field excursions or other interesting activities? If so just write 300 - 400 words about what you do, why , where and how and upload the information, along with a few photos of your group and their activities. Please use the ? help for more information about what you might write. Entering your information is easy to do. Just type! Please include details of where you are situated, what your membership cost is and general details of whether you hold classes in perspective drawing, photography, sculpture and so on. How often does your group meet? Is it on a particular day in the month? How often do you hold exhibitions, invite visiting lecturers or other activity? I provide this as a free service to arts groups and you could end up with a substantial page to which you could refer members. Some might like to write reviews about aspects of their involvement with your group - in fact you could use it as a forum if you wish and encourage comments. 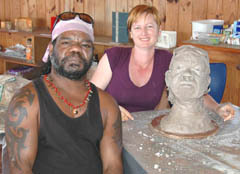 Visual Arts Association of Far North Queensland Inc.